I'm back! Let's pretend December didn't happen shall we, since it seems as though I completely neglected my blog last month. This morning I ran in the 4th race of the Track Shack Fanatic's Series. 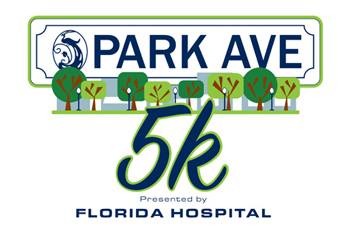 The Park Ave 5k was a fun race held in Winter Park. 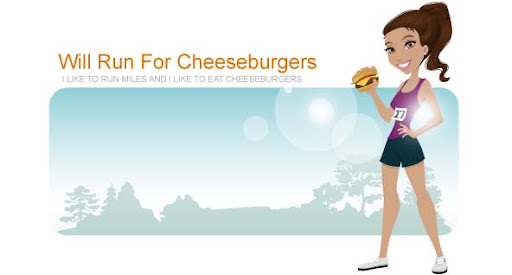 I prepared for the race like usual ... eating a cheeseburger the night before. 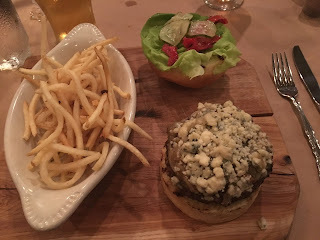 Ryan and I met some friends out at The Ravenous Pig for my favorite burger EVER. It was my favorite burger before we moved to Charlotte and has not lost it's first place status since. The location of the restaurant has changed but fortunately the burger has not. Although one of the more costly burgers ($17) I've eaten, the Pub Burger can't be beat. The meat is super flavorful and the toppings are the right choices. There's absolutely no need for any ketchup or sauce on the burger. Oh and the French fries are amazing. So thin and crunchy ... definitely perfection. My only complaint about the evening was a lack of aioli to dip the fries in. I vaguely remember them having something similar to that the last time I was there (which was 7 years ago I think). Anyways a fun night with friends always lingers and by the time I got home and went to bed it was past 11. Yikes! Definitely did not get as much sleep as I would've liked since my alarm went off at 5:55 this morning. While picking up my race packet I got slightly stressed out about the possible lack of parking so I made an effort to be out of the house by 6:20. Luckily all of my panicking worked out and I found a parking spot in the suggested parking garage. Score. I was also able to use the restroom at Panera, rather than stand in line for a porter-o-potty. The race began right on time and we were off! Winter Park has a lot of brick roads ... and most of the race unfortunately was on them. Running on uneven pavement of any kind still freaks me out because of my tendency to fall (super clumsy runner over here). I made it out alive and managed to have an official time of 22:55 minutes. 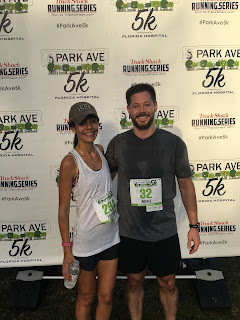 My fastest 5k since moving back to Florida but not a PR. It was a great race day ... perfect weather, cool in the low 60's, great post race food, and a chance to hang out with my friend Mike (he finished in 22:30 minutes).